Rihanna has been rocking a classic red manicure for the last few days. 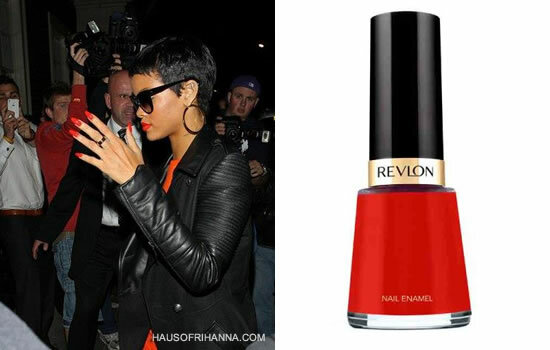 Her manicurist Jenny Longworth, who is a Revlon UK ambassador, used their Red Bikini polish on Rih’s nails. This colour was created by renowned make-up artist Gucci Westman, Revlon’s Global Artistic Director.